Even though, because of sustainability, we prefer digital over print, sometimes you have to print. And even being careful, sometimes we print something unnecessarily. And even then our colleague Tae doesn’t want to throw it away. 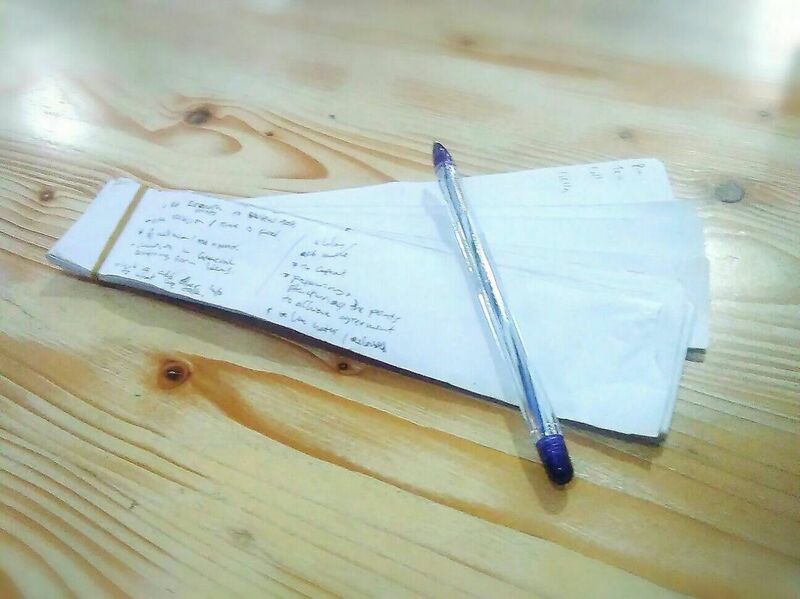 Instead of using a notebook, this always-taking-notes, life-hacking aware guy, repurposes otherwise-thrown-away paper as a hip notepad. A small but o-so-purposeful act.